Until now, the brilliant methods and tactics that world-renowned investor and hedge fund king George Soros used to amass billions have remained a closely-guarded secret. 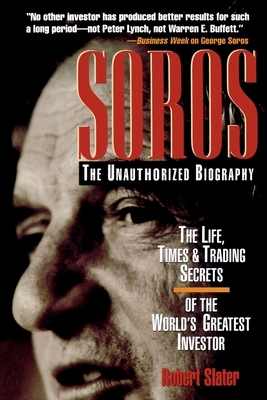 In Soros: The Unauthorized Biography, renowned biographer and former Time reporter Robert Slater has looked behind closed doors to reveal the unique philosophy and investment strategies that have given this Hungarian-born billionaire enormous influence over world financial markets. This intimate and insightful biography examines Soros extraordinary life, his outspoken opinions, and the hundreds of millions of dollars in philanthropy that have made George Soros an influential business, social, and political figure throughout Eastern Europe and the world.